When you head out on the open road in your motorhome, you'll want to ensure you reach your destination smoothly - fitting a caravan stabiliser can help you achieve this. One of the biggest draws of caravanning breaks is the ability to pack up your suitcase and set out on a voyage of discovery at a moment's notice, even if it is for a short break. But however far you plan to travel, investing in a caravan stabiliser can help make sure that you do so safely and comfortably - they are not legal requirements, of course, but they go a long way to dampening the movement around the towball of your hitch, making for a smoother and far more comfortable ride! A quality caravan stabiliser is a must-have for motorhome owners who plan to regularly use their mobile accommodation in order to explore more of what this country, and indeed the world, has to offer. If you want to arrive at your destination feeling relaxed and comfortable then visit Leisureshopdirect to browse all the latest and best caravan stabilisers. When you visit Leisureshopdirect, you will find a whole selection of caravan stabilisers by some of the most trusted brands waiting for you. Because of this, we think you should make us your first choice when you are looking for caravan stabilisers. The Al-Ko AKS 1300 stabiliser could be a good choice for you if you want to invest in new caravan stabilisers. This product can improve stability by up to 30 per cent - promising you a safer and more comfortable ride. The friction pads of the Al-Ko AKS 1300 stabiliser have been tested and exceed a 50,000km lifespan, while it is also both galvanised and corrosion resistant. 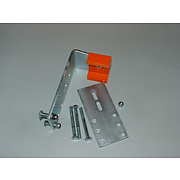 An added feature of these caravan stabilisers is a towball and coupling mechanism wear indicator, along with a choice of security devices. This product has been designed to fit both horizontal and vertical fixing bolt drawbars, on caravans and trailers up to a maximum gross weight of 1,360kg. 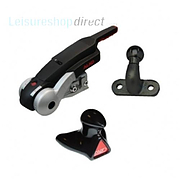 You will also find the Al-Ko AKS 3004 stabiliser when you visit Leisure Direct to look for caravan stabilisers. Ensuring perfect driving dynamics, these caravan stabilisers also improve towing stability when you are on the road, giving you the peace of mind that you are in for an excellent ride in terms of both comfort and optimum road safety. With a simple one-handed lever action, this product is easy to use and also comes in a light and compact design, weighing just 3.8kg. 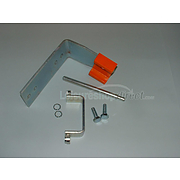 These caravan stabilisers have been built for a long life, meaning they are resistant to corrosion. With a maximum capacity of 3,000kg, this is the perfect choice for you if you have a heavy-duty caravan and comes with a coupling mechanism and friction pad wear indicators, in addition to integrated brackets to allow a security device to be fitted. But if you think this is where your search for caravan stabilisers ends, you're wrong. Indeed, it may be the Winterhoff WS3000 Stabiliser that catches your eye. In terms of caravan stabilisers, the Winterhoff provides you with reduced rolling and pitching up to 330Nm as standard. With a convenient single lever system for coupling and stabilising, the design of this product also offers incredible angular flexibility for manoeuvring, teamed with large friction elements to ensure a long service life. 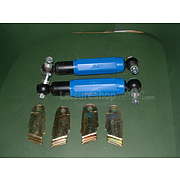 Constant pressure is provided by the generously dimensioned spring assemblies, while other features of these caravan stabilisers include its EU approval for a trailer weight of up to 3,000 kilos and a permissible drawbar load of 150 kilos. Perhaps one of the main benefits of choosing these caravan stabilisers is that they can be retrofitted to all types of trailer. So, if you want to ensure the road you travel is not a rocky one the next time you head out with your trailer or mobile home, you should visit Leisureshopdirect to browse our caravan stabilisers today. 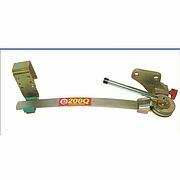 The AKS 3004 Caravan Stabiliser effectively suppresses snaking movemenets of the caravan by the use of 4 special friction pads which surrounds the tow ball. Replacement parts and kits available. The AKS 1300 Caravan Stabiliser has been developed for caravans and trailers up to a maximum wieght of 1360kgs. Spare parts and security devices. Bulldog 100Q Caravan Stabiliser. Rugged, heavy duty construction with high tensile fastenings and simple fitting. Proven anti-pitch and anti-snake control features include ferodo non-asbestos friction discs. Complete with clamp-on 'L' Bracket. Proven quick release device. Bulldog 200Q Caravan Stabiliser. 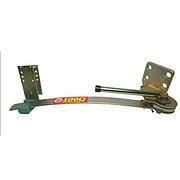 Britain's No1 leaf spring Stabiliser. 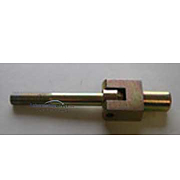 Many features include: Rugged, heavy duty construction with high tensile fastenings and simple fitting. Fitting available for most popular cars. Bulldog Cam Assembly Stabilser. 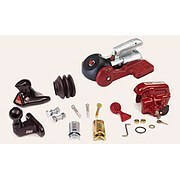 Used With Bulldog Stabilisers Cam assembly and locking nuts for Bulldog stabiliser. Scott Easy Fit Bracket - only while stocks last The dimensions of the orange part is 5.3cm (between the two sides of the U-shape) x 5cm.